Saya paling suka bepergian ke tempat-tempat indah di Indonesia yang jauh dari keramaian, pantai-pantai tersembunyi yang cukup sulit untuk dijangkau, area dimana hanya kita yang ada di lokasi tersebut, destinasi-destinasi yang terasa sangat private. Mostly, I prefer to travel to beautiful places in Indonesia that is away from the crowds, hiden beaches that are quite difficult to reach, the area where we were the only one at the site, the destinations which feels very private. WHY? Kenapa? Karena lokasi-lokasi yang jauh dari keramaian, jauh dari penduduk dan tidak dijangkau kebanyakan orang adalah area indah yang tak terjamah, pantai-pantai berpasir putih dan laut jernih tanpa ada sampah. WHY? 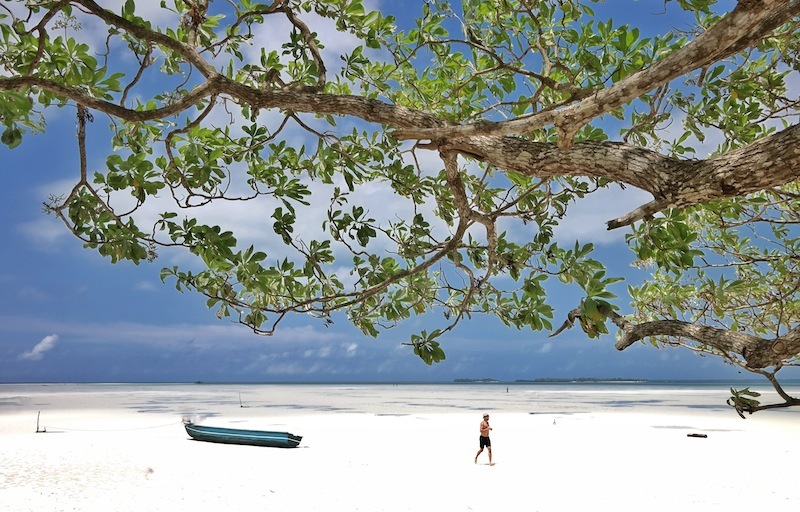 Due to locations that are far away from the crowds, away from the population and is not reached by most people is a beautiful area that is unspoiled, white sandy beaches and crystal clear sea with no rubbish. SAMPAH.. Such a big BIG big problem in our country. Datanglah ke lokasi-lokasi wisata yang cukup umum, tidak sulit menemukan sampah bertebaran. Kantong plastik, kemasan bekas makanan, everything that seemingly people can throw away, they just did it, so sad..
TRASH .. Such a big BIG big problem in our country. Come to the tourist sites are quite common, it is not difficult to find litter strewn. Plastic bags, food wraps, everything that people can seemingly throw away, they just did it, so sad ..
Saya ingat saat para penyelam melakukan bersih laut di area Pulau Pramuka, Kepulauan Seribu. Masing-masing membawa kantong jaring untuk "berburu" sampah. Benar-benar tidak perlu waktu lama bagi kami untuk mengisi kantong jaring untuk sampah ini. Kami menemukan botol-botol bekas, kain, bekas kemasan, dan terutama, kantong plastik. 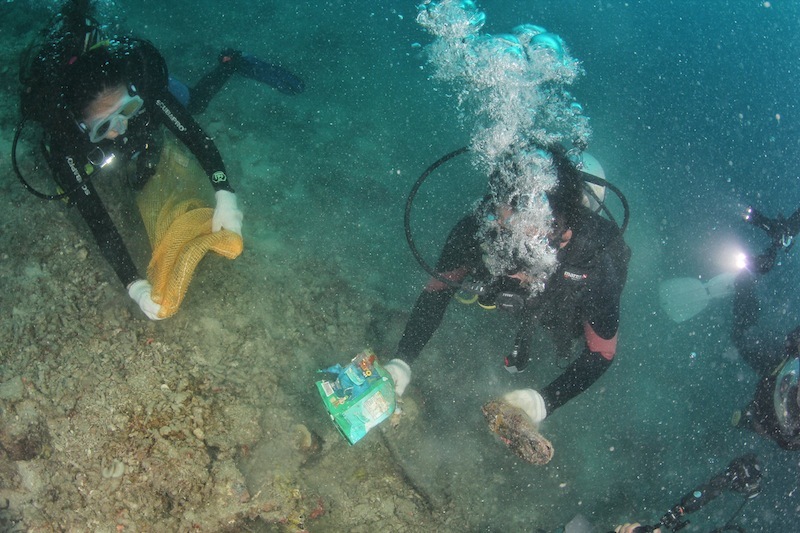 I remember when we did "sea cleaning" in the area of Pulau Pramuka, Seribu Islands. Each carrying a net bag to "hunt" garbage. Really does not take long for us to fill the net bag for this garbage. We found old bottles, cloth, used packaging, and especially, plastic bags. Indonesia punya reputasi dalam hal sampah, bukan hal yang dapat dibanggakan. 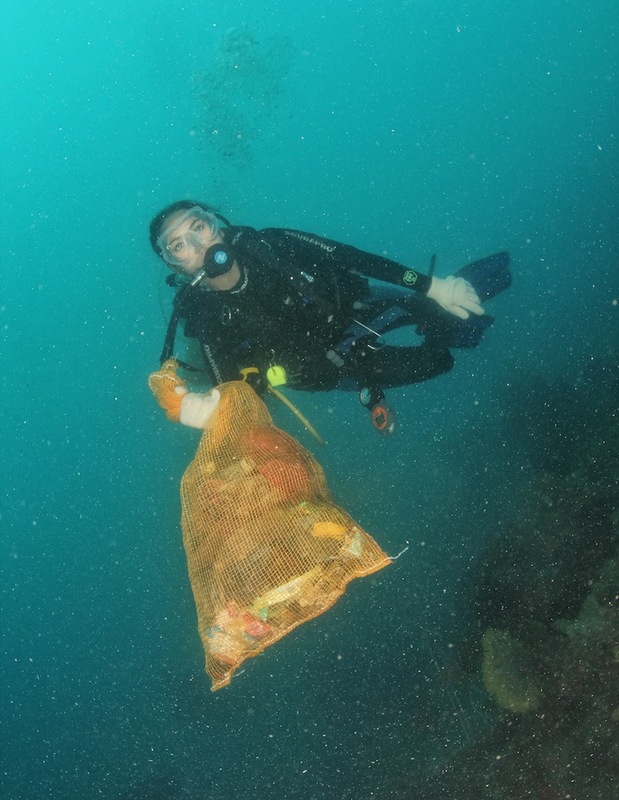 Studi Jenna Jambeck tahun 2015 mengungkap bahwa kita merupakan peringkat ke-2 sebagai negara penyumbang sampah plastik terbesar ke laut. Indonesia has a reputation in the garbage, not something to be proud of. Jenna Jambeck's study in 2015 revealed that we are ranked as the country's 2nd largest contributor to the plastic waste into the sea. Remember the popular sentence "Cewe matre ke laut aje," well, STOP IT, laut bukan tempat buang sampah, laut itu indah, laut itu menenangkan, laut itu luar biasa.. Remember the popular sentence "Cewe matre ke laut aje (in English: Materialistic women should be thrown away to the sea)" well, STOP IT, sea is not a dustbin, the ocean was beautiful, the sea is calming, the sea is incredible ..
Looks like a nice beach, but can you spot the trash? 1000 tahun adalah waktu yang diperlukan untuk mengurai sampah plastik. Cucu dari cucu dari cucu dari cucu dari cucu kita akan tetap harus menanggung sampah plastik yang kita hasilkan saat ini. That's definitely not a legacy we want to share to our descendants. 1000 years is the time required to break the plastic waste. The grandchildren of the grandchildren of the grandchildren of the grandchildren of our grandchildren will still have to bear the plastic waste that we produce today. That's definitely not a legacy we want to share to our descendants. "I can't spot which one is jellyfish and which one is plastic bag dude, so don't throw trash in my home"
Plastic garbage KILLS animals. Penyu seringkali mengira sampah plastik sebagai ubur-ubur yang merupakan makanan penyu, sampah yang dimakan penyu tidak terurai di dalam perutnya dan menyebabkan kematian pada penyu, populasi penyu yang berkurang menyebabkan jumlah ubur-ubur meningkat tajam. Tidak suka saat banyak ubur-ubur saat snorkeling? Maybe it's our own fault, think about it.. Tidak hanya penyu, banyak binatang lain dan ekosistem yang terancam dengan intensitas sampah plastik yang "menginvasi" laut. Plastic garbage KILLS animals. Sea turtles are often thought of plastic waste for jellyfish which is their food, the trash that they eat does not break down in the stomach and causing the death of the sea turtle, the sea turtle population is reduced causing the number of jellyfish rose sharply. Not liking it when meeting lots of jellyfish while snorkeling? 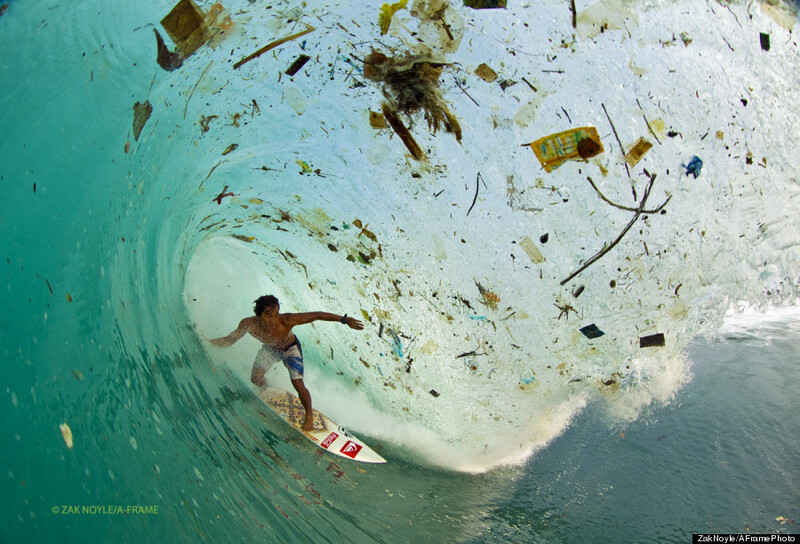 Maybe it's our own fault, think about it .. Not only sea turtles, many other animals and ecosystems threatened by the intensity of plastic garbage that "invaded" the sea. We overuse plastic bag. Survey Greeneration Indonesia mengungkap bahwa satu orang rata-rata menggunakan 700 kantong plastik setiap tahunnya. Well, that's A LOT. We overuse plastic bag. 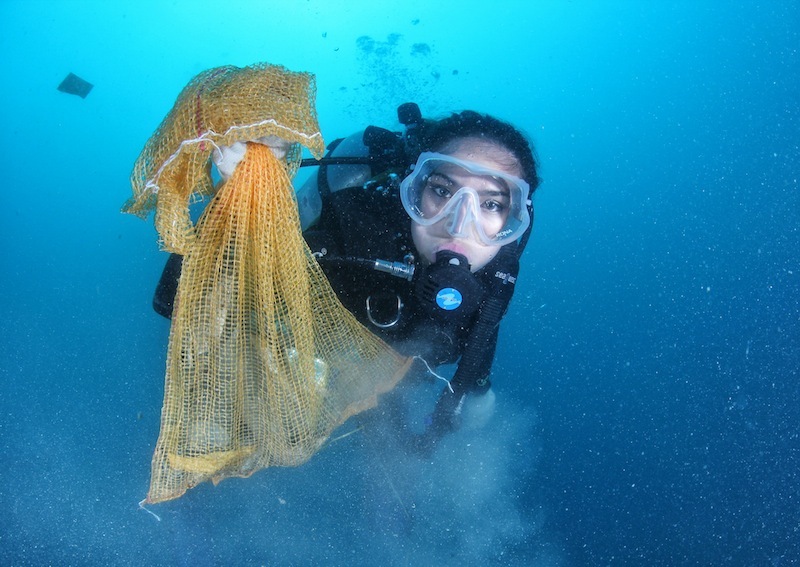 Greeneration Indonesian Survey revealed that the average person uses 700 plastic bags each year. Well, that's A LOT. Saya selalu bilang, perubahan itu tidak sulit namun perlu penyesuaian yang bertahap. Tidak perlu langsung mengubah hidup menjadi totally green living, tanpa kantong plastik sama sekali, tanpa AC dan sebagainya, most people will only last for.. DAYS.. I always say, the change is not difficult but necessary adjustments are needed gradually. Do not need to change life becomes totally green living, no plastic bags altogether, no air conditioning and so on, most people will only last for DAYS .. .. So it's better to make a step-by-step way to change. Saat ini sudah ada kebijakan diet kantong plastik, di mana toko-toko sudah tidak menggratiskan kantong plastik berdasarkan peraturan pemerintah sejak Februari 2016. Harapannya? tentu saja mengurangi jumlah pemakaian kantong plastik, hal ini terbukti efektif mengurangi konsumsi sampai sampai 70% di negara-negara lain. Namun menurut saya harga kantong plastik masih terlalu murah (Rp. 200,-) sehingga membuat pemakaian kantong plastik masih cenderung mudah, should've been around Rp. 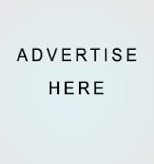 5000,- so people will think about using it In my opinion). So it's better to make a step-by-step way to change. There is now a policy of diet plastic bags, where the shops have not eliminate plastic bags by government regulation since February 2016. The hope? of course reduces the amount of usage of plastic bags, it proved effective in reducing consumption up to 70% in other countries. However, I think the price is too cheap plastic bag (Rp. 200, -) thus making the use of plastic bags are still prone, should've been around Rp. 5000, - so people will think about using it In my opinion). "Repot ah bawa-bawa tas," mungkin itu yang terbayang saat konsep bring your own shopping bag muncul. But hey, use this kind of bag, it's small (saat dilipat), ringan dan simple. "Carrying a bag is troublesome," maybe it's what comes to mind when the concept of bring your own shopping bag appears. But hey, use this kind of bag, it's small (when folded), light and simple. Tas Tempo Scan Love Earth (link ke www.ayoloveearth.com) ini bisa didapatkan gratis di supermarket atau minimarket yang bekerja sama dengan Tempo Scan Pacific, setiap pembelanjaan produk Tempo Scan sebesar Rp. 50.000,- hingga Juli 2016 ini. Tempo Scan Love Earth's Bag (link to www.ayoloveearth.com) can be obtained free of charge at the supermarket or minimarket in collaboration with Tempo Scan Pacific, every purchase of products Tempo Scan Rp. 50.000, - until July 2016. Not only that, jika kita menggunakan tas Tempo Scan Love Earth saat berbelanja, maka kita mendapatkan diskon 5% untuk pembelian produk Tempo Scan (tunjukkan barcode yang ada di dalam tas ini) di supermarket/ minimarket yang bekerja sama. This is such a nice idea, memang terkadang perlu ada "insentif" atau "motivasi diskon" terlebih dahulu, namun hopefully secara pelan-pelan ini akan merubah kebiasaan kita dalam menggunakan kantong plastik. Not only that, if we use Tempo Scan's Love Earth bag when shopping, then we get a 5% discount on the purchase of products Tempo Scan (show the barcode that is in this bag) in a supermarket / minimarket that cooperate with them. This is such a nice idea, it is sometimes necessary to have "incentive" or "motivation" discount first, but hopefully gradually will change our habit of using plastic bags. @marischkaprue - she loves the earth and all the things on it, especially those sea, yes, sea! Jadi pengen makin rajin bawa kantong sendiri. ombak surfing jadi malah mengganggu.